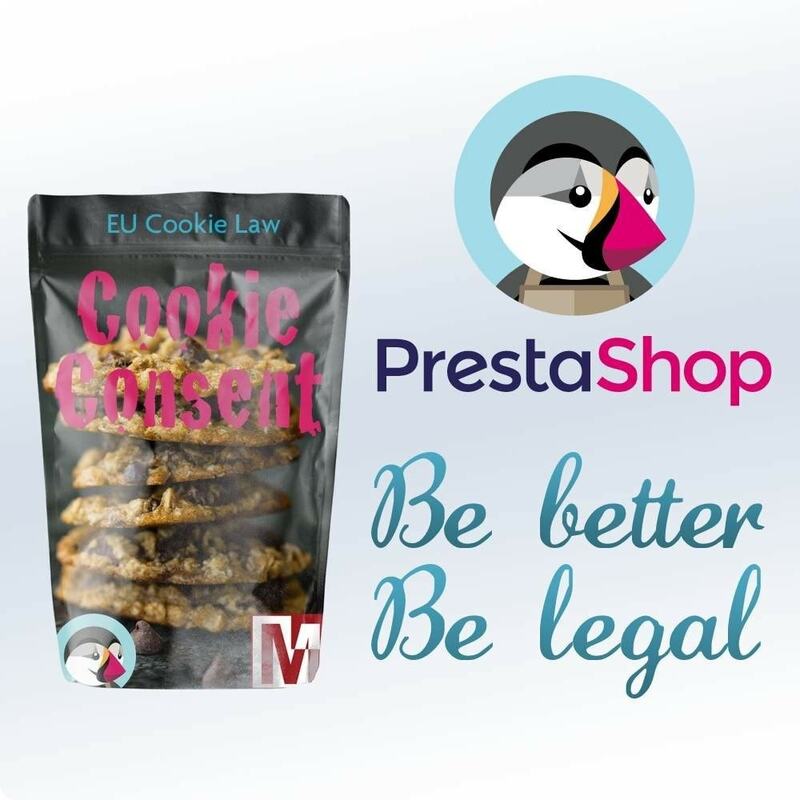 Simple to install, use and configure, this module will meet all configurations by providing increased maneuverability for merchants wishing to inform their visitors of their practices concerning cookies. 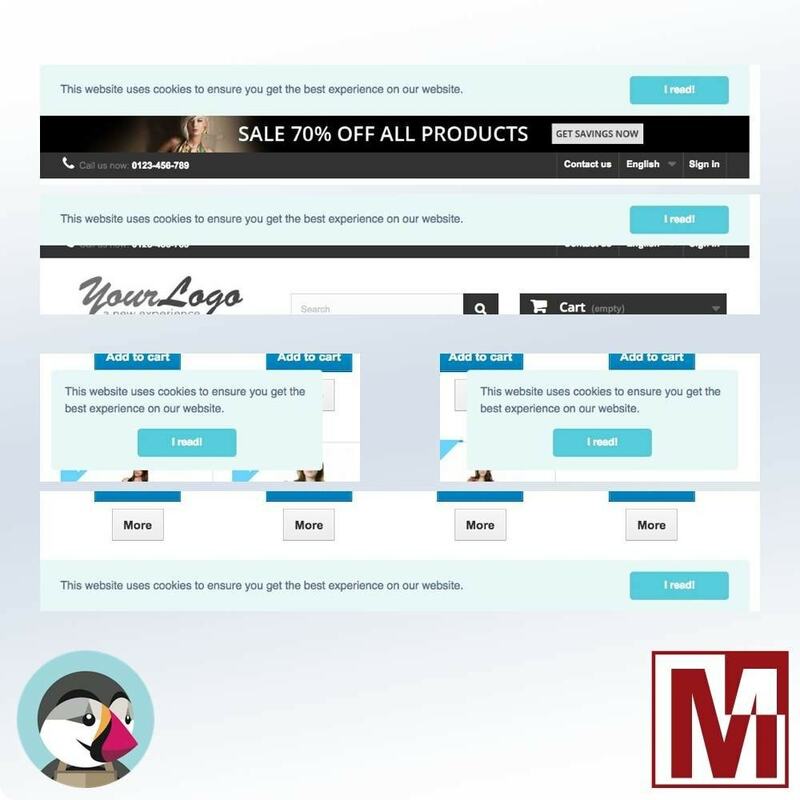 5 display locations for the banner: at the top, at the bottom, in the window at the bottom right, in the window at the bottom left, and a slide effect at the top that makes it possible to not cover the contents of the site. 4 forms of presentation: Classic with rounded edges on the buttons, Block which removes the roundings, Edgless which allows to have the button which occupies all the space (horizontal or vertical) by reducing the margins and Wired for a button with the designlighter. 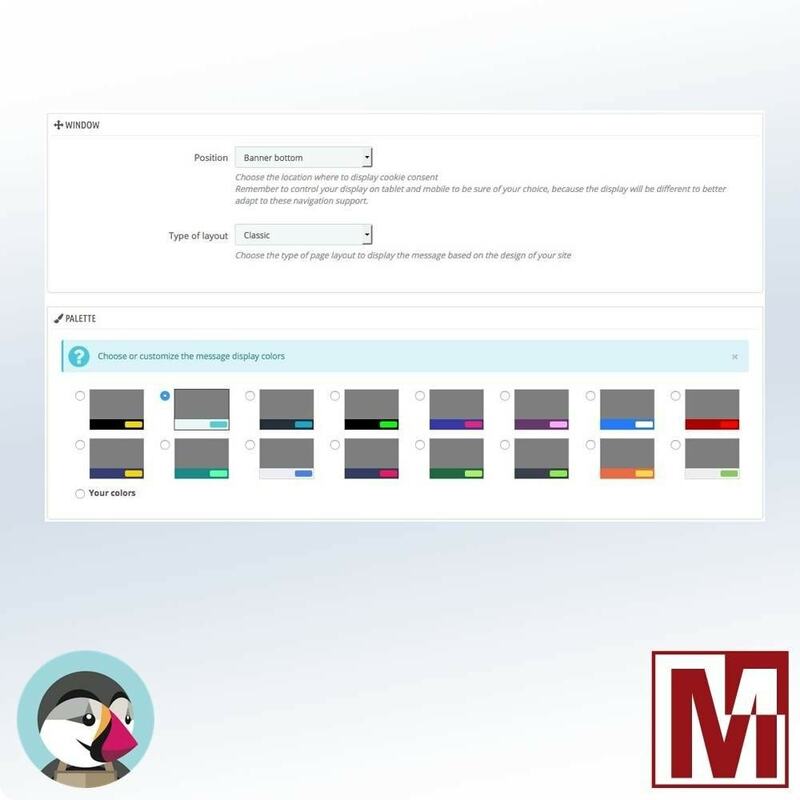 16 predefined color themes with the ability to configure your custom color theme. And, of course, the ability to customize all the texts displayed to your visitors to better respect your policy and your communication. Your customers will see the banner until they click on the acceptance button. 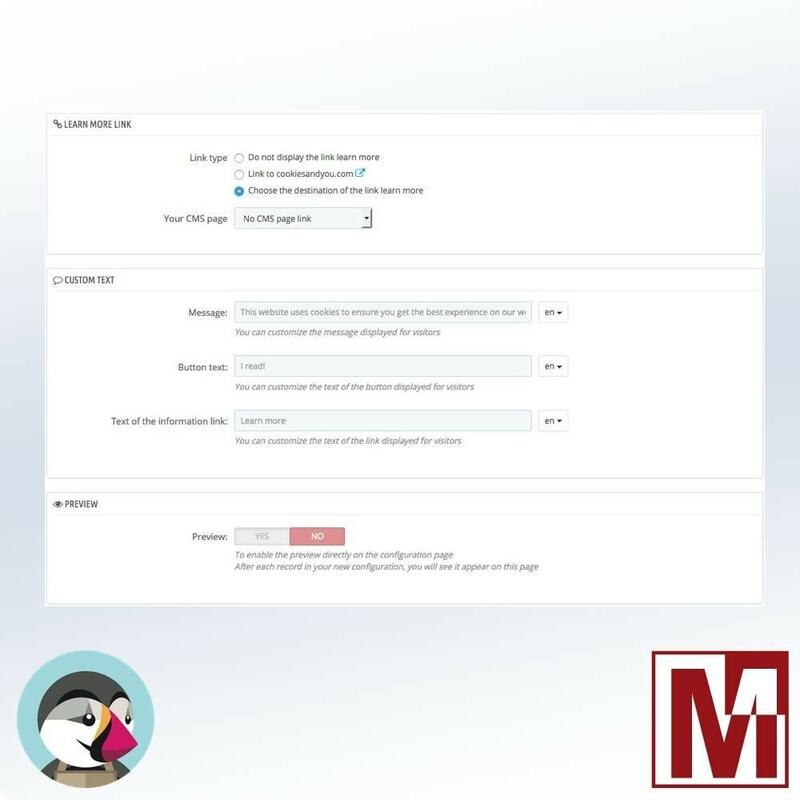 This module fully respects the usual installation procedure of PrestaShop.Simply load the module archive directly into the PrestaShop backoffice so that you can best configure it for your needs and your site.